Join David Wolfe, Daniel Vitalis, Peter Gorman, Morgan Brent, and Morgan Maher to create and explore the connections between health, nutrition, sacred plants, food, diet, and herbalism, as we weave through these frenzied foothills; the wild weirdness of 2012. Physical and spiritual healing is advancing at a mycelial rate. Visionary plant medicines are being engaged all across the planet. Remarkable evolutions in nutrition and diet are revolutionizing lives, strengthening our species. We are transitioning into new ways of being. Energized, empowered, interconnected Lifeforms on newly vast, ever-growing landscapes. Places of dreams, realms of the soul, gardens of your mind; melted, mixed, aligned – revived, with archaic techniques of ecstasy, across time, space and mystery, we are learning myriad ways to lead healthier, stronger, longer, deeper, and more delicious lives. However, we’re going through some heavy stuff. Face it. In the cold shadows of Habit and History, our individual and collective well-being is experiencing an onslaught of novel stressors. Unprecedented ecological crisis, economic and political upheaval, ongoing nuclear fallout, war, invasive media, corporate take-over, numerous threats to our food’s quality and supply. Dis-ease of all descriptions. Thankfully, and luckily – the energy, tools, materials, traditions, resources, research, test-runs, bio- assays, art, music, experiments, elements, food and medicine required to calm the crisis, cure the chaos, compost catastrophe, energize the body, vitalize community and heal the planet are available and waiting for you. Immense potential exists now to exponentially enhance your individual health in mind, body and spirit; fortify and deepen your relationship with the natural world; unite with myriad mysteries, to birth, nourish and strengthen the most dynamic, diverse, vigorous, and thriving generations this planet has ever seen. • Detailed inspiration to invigorate, navigate and take control of your body, mind, soul – food, diet, and medicine choices. Each session is devoted to one-on-one conversations between Morgan and a featured guest, followed by a Q & A session. If you can watch a YouTube video, you can view this course. Visionary Nutrition provides you with unique and unprecedented opportunities to upgrade your personal health strategies, strengthen archaic techniques, and co-create new relationships with food, medicine, and the world around you. Daniel Vitalis is a Leading Health, Nutrition, and Personal Development Strategist as well as a Nature Based Philosopher. He teaches that our Invincible Health is a product of living in alignment with our biological design and our role in the ecosystem. Daniel incorporates the wisdom of indigenous peoples into our modern lives. His entertaining, motivational and magnetic delivery style has made him an in-demand public speaker in North America and abroad. Daniel is the co-creator of FindASpring – a resource helping the public find clean, fresh, wild water – free of man made pollutants, wherever they live. He is also a founding member of SurThrival, the suppliers of premier, biologically active and fully natural nutritional medicines for regeneration, immunity and healthy endocrine function. 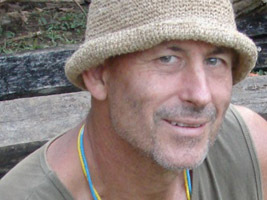 Peter Gorman is a noted and award-winning journalist and adventurer. His feature writing has appeared in more than 100 major national and international magazines. 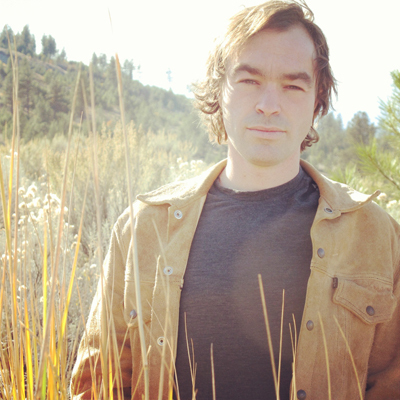 He has also written a number of video pieces, including work for the United Nations and the Salvation Army, and has consulted for both National Geographic’s Explorer series and the BBC’s Natural World. 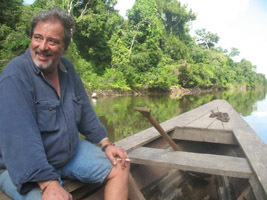 Gorman’s love affair with the Amazon jungle is well known to people in the field. Since 1984, he has spent a minimum of three months annually there–as well as all of 1998-2000–generally using Iquitos, Peru as his base of operations. He has also collected botanical specimens for Shaman Pharmaceuticals and herpetological specimens for the FIDIA Research Institute of the University of Rome. 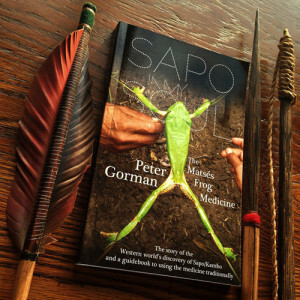 He was the first person to ever work with the medicinal knowledge of the remote Matses Indians of the Peruvian-Brazilian border, and his description of their use of the secretions of the phyllomedusa bicolor frog has opened an entire field devoted to the use of amphibian peptides as potential medicines in Western medicine. His initial writing on the effects of the secretions is the first description of a human taking an animal substance directly into the bloodstream ever recorded. 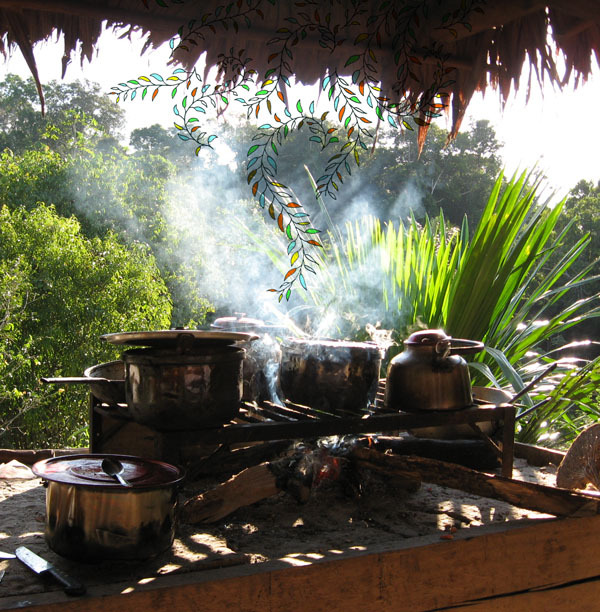 He is the author of Ayahuasca in My Blood – 25 Years of Medicine Dreaming. According to Brent, knowing ourselves via identities that are reactive to the mainstream agenda, such as alternative and counterculture, and anti-this or that, negates the generative capacity we have as a people aligned with the rebalancing forces, now going full tilt, of the natural world. In contrast to the rather anemic, and unsustainable, model of human development presented as the high income, city dwelling, university educated cosmopolitan, a more full-spectrum model of self-acculturation is offered when one tunes into the Gaian ‘innernet’ we all carry in the evolutionary heritage of our biological form, and follows the ‘original instructions’ accessed there. One so integrated into the sylvan cosmos, the society of Nature, is known as a sylvapolitan. The sylvapolitan, thru feeding on the rapidly composting cosmopolitan world, is synergizing into the matured human capable of emerging out of this 6th, and greatest, planetary ‘age of extinction’, we are currently in. Originally from Ohio, Brent received an MA in anthropology (1993) from SFSU with research in Taiwan on traditional Chinese vitality concepts and practices. In the early 1990s he made his way through the San Francisco dance underground in various capacities, among them a teacher of tai chi chuan and ceremonial energetix. In 1995 he took a growing interest in medicinal plants to a doctoral program in ethnopharmacology at the University of Hawaii, Manoa. Simultaneously, he began working with ayahuasca. This resulted in a dual education, which eventually focused on the great herbalist traditions of the world, their role in spiritual revitalization movements, and their common message to humanity. He left academia after the vast Gaian intelligence with which he had been engaging recruited him to its purposes full time. He now works to further the prescriptive teachings of medicinal plants, aka ‘Nature’s plan to save the humans’. In service to this guidance, he founded Tribes of Creation, an organization that umbrellas workshops and events thru out, and beyond, the Pacific NW. These include Singing Alive sacred song circle gatherings, now in their 6th year, and Human Flowering Creation-song circles, communally sung narratives of mythic renewal. He considers his work to be gestures of subtle activism, food for a spiritually hungry world. 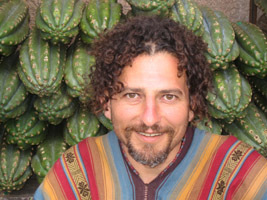 David Wolfe is considered one of the world’s top authorities on natural health, beauty nutrition, herbalism, chocolate, and organic superfoods. As the author of many best-selling books including Eating for Beauty, Naked Chocolate, Amazing Grace, Superfoods: The Food and Medicine of the Future, and The LongevityNOW Program, David empowers and inspires people to take charge of their health even up against all the modern-day demands of bills, technology, environmental pollution. David Wolfe’s leadership has been inspired by principles of sustainable agriculture, living in harmony with nature, and ethical global cooperation. He is co-founder of TheBestDayEver.com online health magazine and is President of The Fruit Tree Planting Foundation with a mission to plant 18 billion fruit trees on planet Earth. • The Plant Path. The Poison Path. • Entheogen Update: Where Are We Now. • Psychedelic Foods. Visionary Nutrition. • The Importance of Growing Your Own Medicine. • Nature-Based Spirituality and Wild Food. Morgan Maher is an artist, writer, designer exploring food, medicine, plants, art and music. 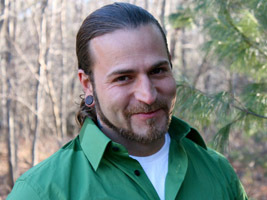 Morgan is on the Board of Directors for Ayahuasca.com, he has written for Reality Sandwich, hosted Evolver Intensives, illustrated Peter Gorman’s book; Ayahuasca in My Blood, published Espiritu, teaches classes and workshops, and super-visions art, design, web & media for the Light Cellar in Calgary, Canada.